When will be Eat the Week with Iceland next episode air date? Is Eat the Week with Iceland renewed or cancelled? Where to countdown Eat the Week with Iceland air dates? Is Eat the Week with Iceland worth watching? 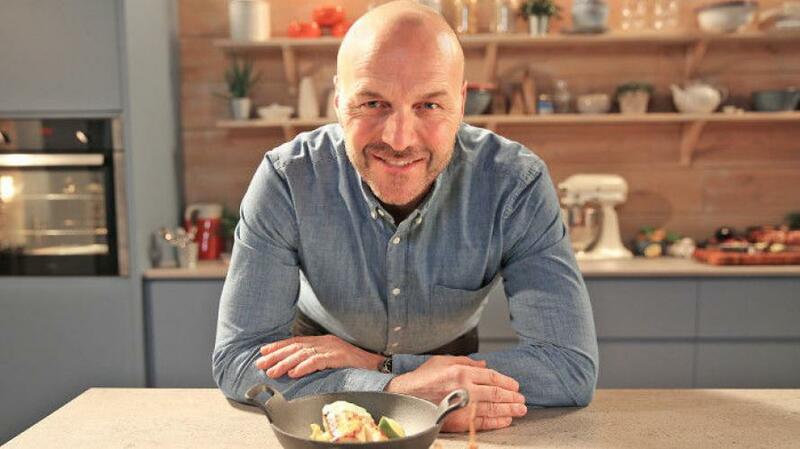 Simon Rimmer presents the cookery show that makes meal times tasty and fun again for even the busiest families. Simon Rimmer answers an SOS from the super-busy Scarfe family in Huntingdon. On the menu is beef cheeks, lamb with a super-herby salmoriglio sauce, and chicken and celeriac. Simon Rimmer meets the Morphew family, who have seven hungry mouths to feed. Dad Carl loves trying new ideas, but doesn't want to be chained to the stove. Simon suggests a smoked haddock koulibiak; a smokey chilli with unusual rice; and a big chocolate trifle. And reporter Michela Chiappa gets the lowdown on rhubarb, chorizo and chillis. Simon Rimmer meets the Wilkins family in the West Midlands. Davida lives with her three children and her dad. He loves spicy food, they're not so keen. Can Simon devise recipes to please everyone? On the menu is Korean pork and beef meatloaf; smoky pork chops; croque monsieur; burgers with a surprise; sizzling red Thai prawn curry; and marshmallow and biscuit slices. And reporter Michela Chiappa gets the lowdown on how to make the most of tomatoes, strawberries and rice. Eat the Week with Iceland next episode air date provides TVMaze for you. EpisoDate.com is your TV show guide to Countdown Eat the Week with Iceland Episode Air Dates and to stay in touch with Eat the Week with Iceland next episode Air Date and your others favorite TV Shows. Add the shows you like to a "Watchlist" and let the site take it from there.